I've noticed a few sites popping up trying to sell software to download Flash content. You don’t need it, in fact you don’t need anything except the browser you already have. It’s free and easy. Most web pages contain more than one .SWF file, there could be advertisements, logos or other media using a .SWF extension. Usually the game is called game.swf (replace with game name), not ad.swf or rabbits.swf.. pretty interesting huh? Copy that address into your browser and select “Save As” from the File menu. Boom! you’ve downloaded the Flash game. Sometimes you will find the .swf file but without a full URL, for example “title.swf” In this case you will need to attach the site URL and any folders before the filename to download it. Right-clicking anywhere on a page in IE and FireFox brings up a “View Page Info” option. Choose this and then select the Media tab. Click Tools and then Internet Options. Under the General Tab go to Settings under the Temporary Internet Files group. Look out! There could be thousands of files in here. Another reason to use FireFox :) But anyway if you don’t mind browsing through what your little brother was up to last night… continue on. Click View – Details, Now arrange the files by address and find the game site you were looking for and then the .swf game file and choose Copy. Paste the file into any other folder. If you are frequently downloading games there’s add-ons and extensions out there that can speed up the process. 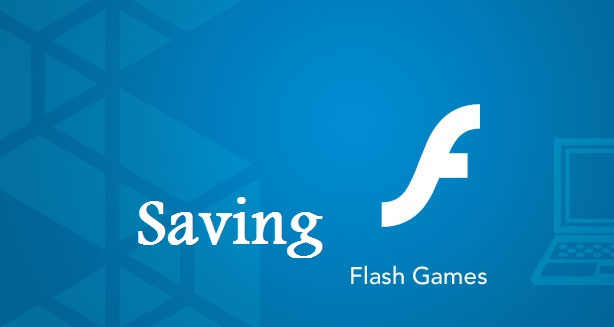 Sothink SWF Catcher: This handy little tool adds one-click Flash Game grabbing to Internet Explorer. 90% of games will work but some require an Internet connection or to be embedded on a page to function correctly! Once you’ve downloaded the files playing them is as simple as having Flash Installed (which you probably already do). Double-click the files and they should load fine. If for some reason that doesn’t work, try opening them in your web browser.